Due to prosperous industry skill, we provide an extensive series of Industrial Grade Manganese Oxide(MnO). In addition, this product is available in varied forms that meet on customer’s demand. M S Mining & Consultancy Pvt. Ltd.
Manganese oxide is a generic term used to describe a variety of manganese oxides and hydroxides. 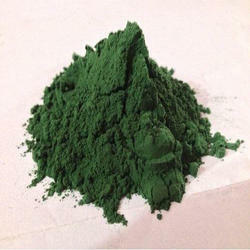 - Used in dry batteries, ceramics, glass making, etc. We have marked a remarkable position in the market by offering the best quality array of Manganese Oxide. Manganese is an important micronutrient, the deficiency of which disrupts growth and results in disorders of the bones and central nervous system. As the animal body does not produce Manganese, it needs to be supplemented externally. Thus, it forms an important constituent of all Animal and Cattle feed. Manganese oxide (MnO), Manganese dioxide (MnO2), Manganese (IV) oxide. 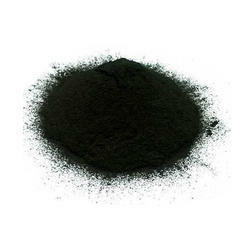 The Manganese Oxide Powder is also famous with the name of Manganous Oxide and is suitable for various uses. Our Manganese oxide can be availed in different grades. There is no alternative available in the market when it comes to our Manganese Oxide Powder in terms of its affordable price as well as for its premium quality. It is a naturally occurring mineral, blackish or brown in color is the inorganic compound with the formula MnO2. It is a naturally as the mineral pyrolusite, which is the main ore of manganese and a component of manganese nodules. Manganese dioxide is an industrial mineral with a number of beneficial qualities & its applications in wide ranges of industries.